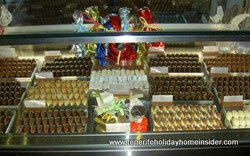 Tenerife shopping Buenavista del Norte has been put firmly onto the Spain map by Aderno chocolates and pastries. 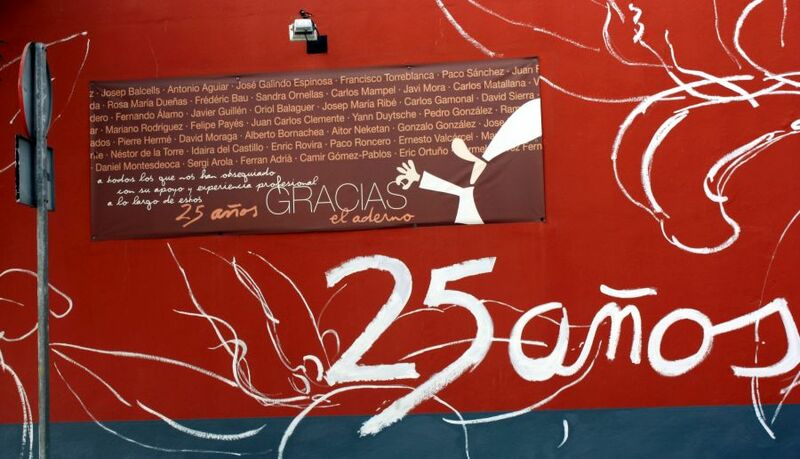 To say the least...I have seen their latest creation of chocolate art 2012/2013 at their shop in Puerto de la Cruz. Hear more about the renown chef behind it all, by scrolling down! El Aderno shopfront in Buenavista del Norte only reads Pasteleria besides its SL and gives little away. Yet, you may only guess how big this place really is. Otherwise, fish, meat, poultry, fruit and vegetables come straight from the neighborhood of Co-ops. They are unlikely to be expensive in this agricultural Mecca. Such produce is sold in many little shops, as is custom in Spain. Frozen food is also easily available and, at economic prices. Besides, nothing is really far from Buenavista. Tenerife is so small. Caleta de Interian has the next 'Alteza Supermercado' supermarket by the Titsa bus stop. That's virtually up the road from Buenavista. Next comes Garachico which has a Mercadona Mega-shop. Reach all within less than half an hour by car. Hence, Tenerife shopping Buenavista del Norte is no real problem, any more. Of course, this West coast town has a fair share of pharmacies. Also encounter (ferreteria) hardware there... Buy electronic gadgets of the IT genre and fancy clothes near the main town square. I didn't see sports goods in this part of Tenerife listed. It doesn't matter. Does it? However, this quiet, peaceful town where the world is pretty unspoiled has one of best productions for your sweet tooth. It's called 'Pasteleria Aderno' where El Aderno chocolates excels. Call 922 387301. Even get Alderno desserts as take-away at this La Paz Chocolate and Pastry shop by the man from Buenavista del Norte. Meet the man Teobaldo himself behind the curtains in this special tourist video about Buenavista. It was produced for the Spanish Televison 1 channel to bring the town closer to the hearts in mainland Spain. This video is in Spanish but, is one of best films I have seen. It is an absolute joy and fun to watch. No need to understand the spoken words. imagination goes a long way, just like for Tenerife shopping Buenavista del Norte. 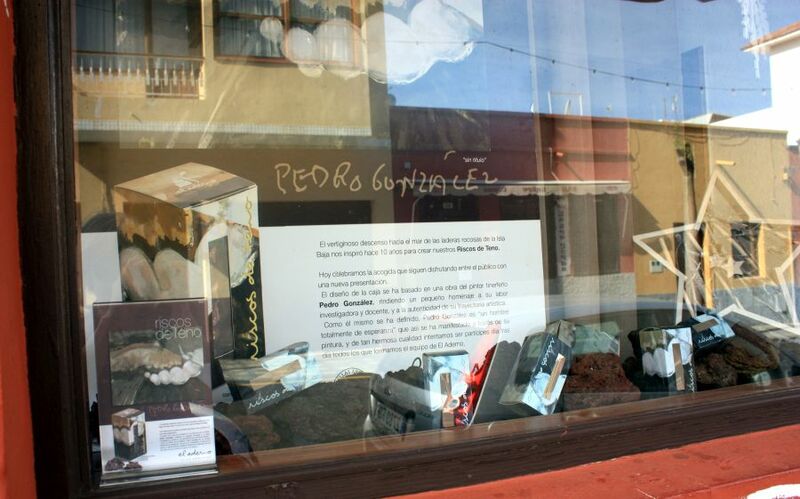 The owner Teobaldo Mendéz of El Aderno has become one of famous Spanish people in the sweets manufacturing industry. No wonder, as he seems to have best social skills. 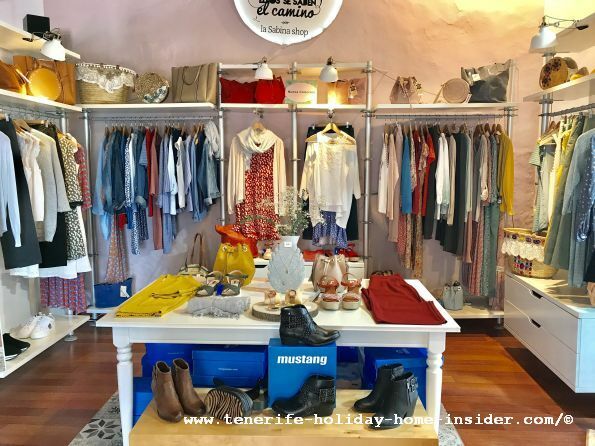 His track record of more than 25 years for delivering superb quality at excellent prices has made his business a sensation for not only Tenerife shopping Buenavista del Norte. He has a branch in Santa Cruz and in Las Palmas de Canaria. His staff of 30, the Tenerife as well as the Madrid Media love him and what he does. He achieves that the best chefs of Europe talk about the wonder artist and baker of sweet stuff of Tenerife Spain. What makes Don Teobaldo's El Aderno tick? Teo has managed to make himself a name for climbing the extra hill with his pastries, cookies, yummy desserts, tarts, cakes and fancy chocolates. Teobaldo of El Aderno has demonstrated that a successful business must never stagnate. He needs to research the market. He knows that innovation is needed to please more gourmets. Gofio cookies made with almonds are well known in Tenerife. But Teo Mendéz makes them lighter. He turns them more delicious by adding corn flower in a special way. This must be of extremely fine consistence. This as well as real chocolate and special add-ons render this Tenerife pastry unbeatable. The list of the unique specialities which give the Pasteleria Aderno the fame of an artistic venture doesn't stop here. The Trufas de Gofio are one example, The Riscos de Teno and Rascones de Reyes are just as unique. Unfortunately the web www.elardero.com is all in Spanish. 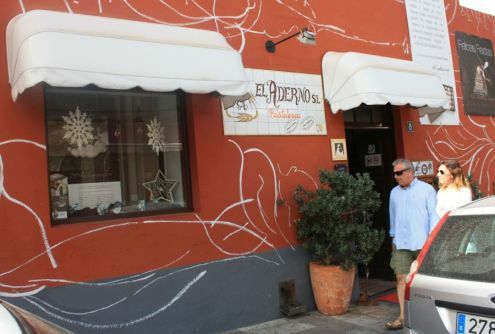 In fact, superb, sugar free chocolates have made Don Teobaldo of El Aderno even more famous. What a blessing for diabetics and people who want to lose weight. Note that sweets and pastries with an utmost minimum of sugar was one of mottos of the famous Parisian pastry and chocolate chef Pierre Hermé who gave demonstrations at El Aderno's, some time ago. Indeed actually, Teobaldo Mendéz went one step further to manufacture the so called 'products cero'. Every Tenerife food and drink with the add-on 'sin' in Spanish means without alcohol. Teo Mendéz introduced the term 'cero' for sugar free for Tenerife shopping Buenavista del Norte to start with. Now, sugar free chocolates which are neatly packed make perfect gifts for diabetics and the figure conscious. They look as neat and taste as good as the most expensive Belgium chocolates. 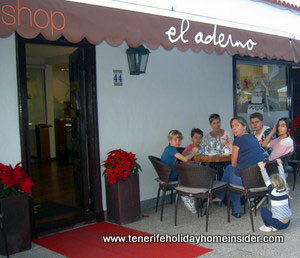 A yummy chocolate mousse without sugar by El Aderno is for take away to your holiday home in Tenerife. 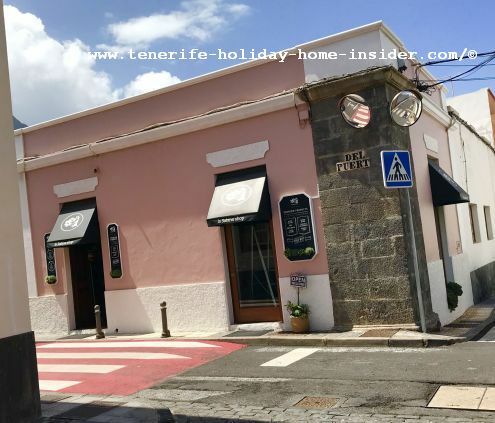 Indeed, Tenerife shopping Buenavista del Norte for sweet treats at el Aderno is a culinary adventure. Discover new creations of delicious liquor chocolates, wedding tarts, children birthday cakes and sweet miniature souvenirs. Needless to say is that El Aderno's ways of production and packaging are of the highest standards of modern hygiene. 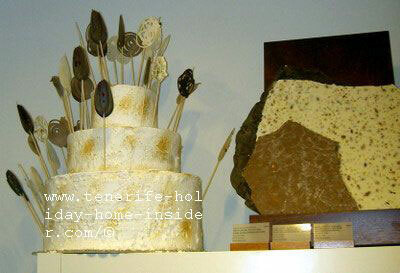 Indeed, there are more famous chefs besides the top pastry designer Teo El Aderno in Tenerife. Whatch out for their cooking demonstrations in Tenerife and Canary Island TV channels. Find this shop with most exquisite lady clothes just behind the central town square of Buenavista del Norte. 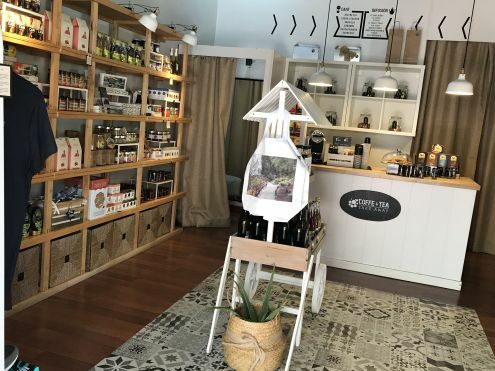 La Sabina shop and the nearby Tienda by El Aderno are never to be missed when you are in the neighborhood. From Tenerife shopping Buenavista back to shopping in Tenerife, most of which in its capital or in Puerto de la Cruz.